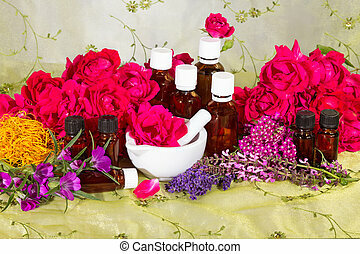 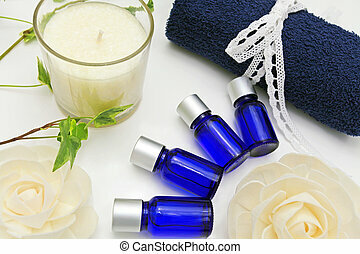 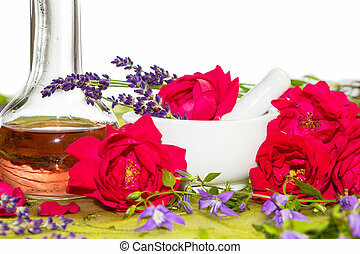 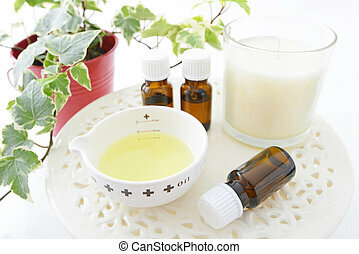 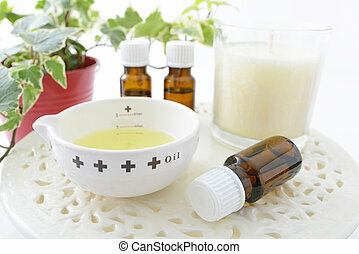 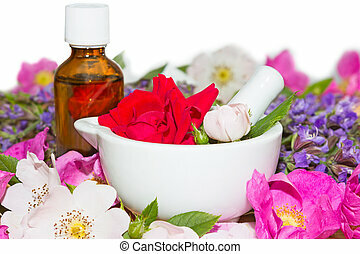 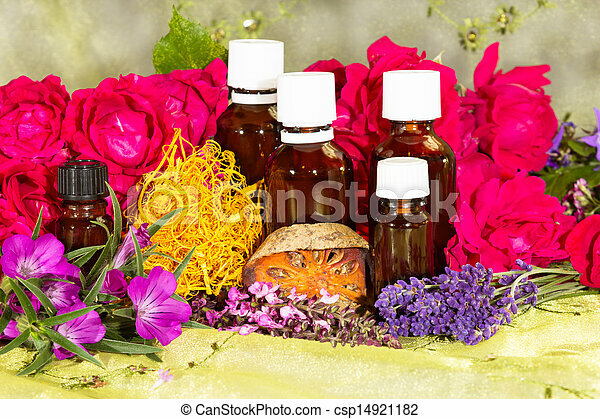 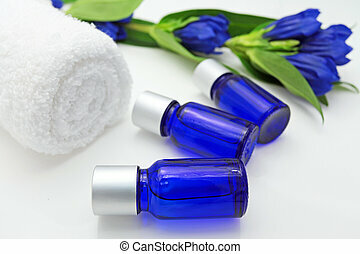 Essential oil with roses and herbs for spa. 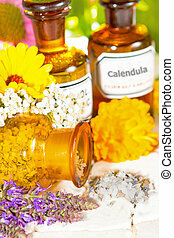 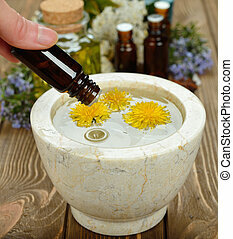 Essential oil for bath and wellness, with fresh flowers. 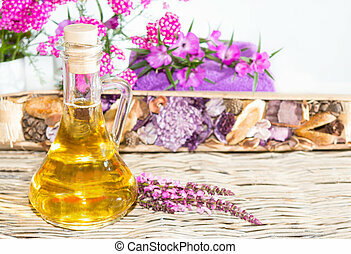 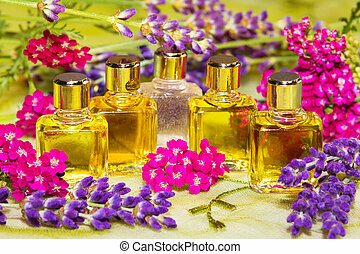 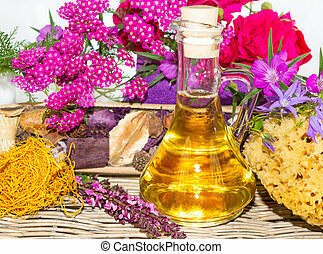 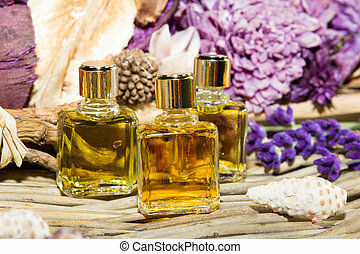 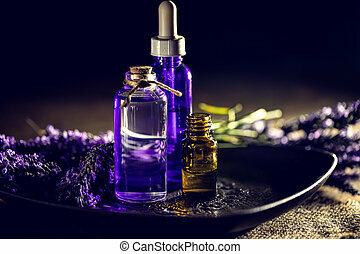 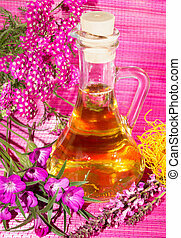 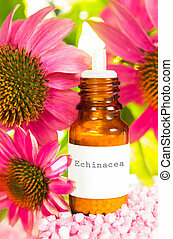 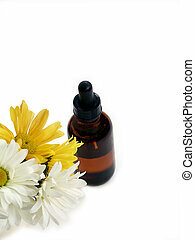 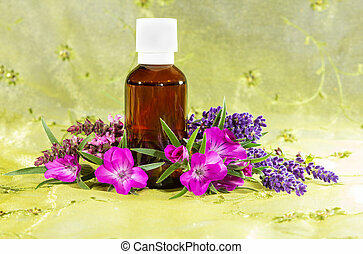 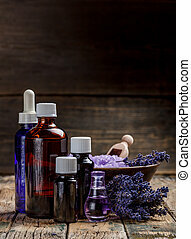 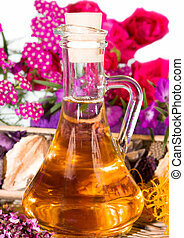 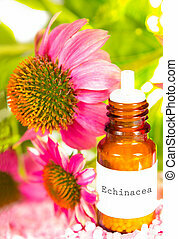 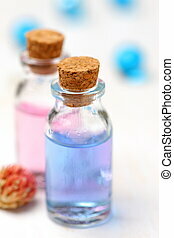 Essential oil or perfume, with lilac blossoms on a wooden background. 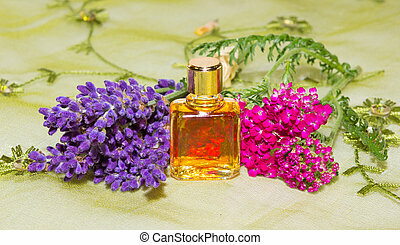 Essential oil with fresh flowers of lavander and red yarrow. 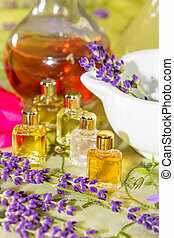 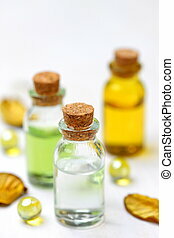 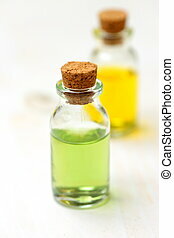 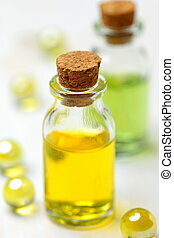 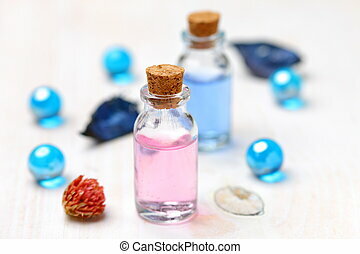 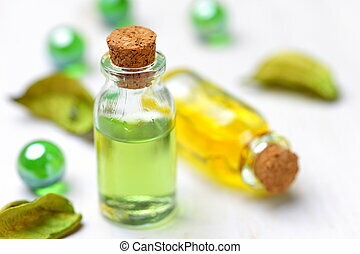 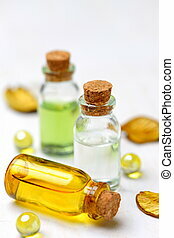 Essential oil or bath oil with colorfull blossoms, used for spa and wellness.